As a premier kitchen remodeling company serving the greater Los Angeles area, Sky Renovations is a leader in the areas of kitchen cabinet installation. We have performed countless kitchen renovations over the years, giving us the know-how you’re looking for when making those tough remodeling decisions. We can recommend the best materials, styles, and appliances to transform your kitchen into something truly special. To get started on the kitchen you’ve always dreamed of, call us today. 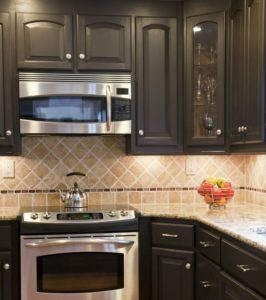 There are a lot of things to consider when choosing your new kitchen cabinets. 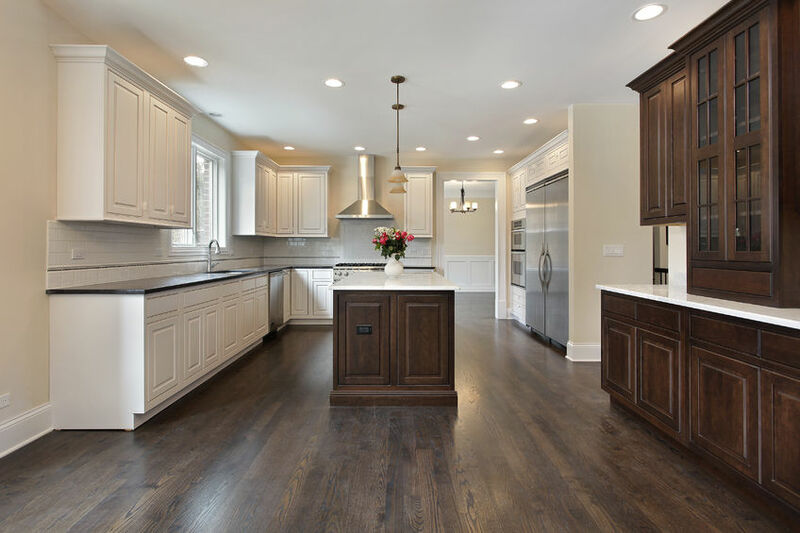 Before you hire a kitchen cabinet contractor you want to make sure that your new kitchen cabinets will fit with the rest of your kitchen, both spatially and stylistically. In fact, one of the biggest concerns when kitchen cabinet installation today is how to achieve the maximum amount of storage space without your kitchen looking cluttered. There are a variety of innovative options when it comes to making the most of your available space, including special multi-shelf cabinet drawers that can make effective use of corner spaces. Style-wise, there are lots of small features that can give your kitchen a unique look and feel. Take, for instance, paneled cabinet ends. They are an inexpensive way to add character to the exposed sides of your kitchen cabinets so that they match the doors. Your kitchen cabinets can be made in a variety of finishes to complement the paint on the walls and your chosen flooring. Finally, the hardware on your kitchen cabinets should match your fixtures and appliances, giving your kitchen the impression of a complete project, rather than a random mixture of competing style elements. Why Pick Kitchen Cabinet Contractor Sky Renovation? If you are considering installing kitchen cabinets in your Los Angeles home, consider a quote from kitchen cabinet contractor Sky Renovation. From entire kitchen remodels to kitchen cabinet installation projects, no job is too big or too small for Sky Renovation & New Construction of Los Angeles. Contact our kitchen cabinet contractor for a free in home quote today.